The perfect 3 board quiver? Lets hear your opinions on the perfect 3 board quiver?? Missing but would put on my wish list would be a 12ft Search in a green/blue combo paint job. Keen to try a 12ft Search myself Dave! - A board for small waves without much paddling speed: wide, with volume, fast shape: fish or mini-Simmons or very short Tomo. The Gong One 6'10" 125 liters, but I actually use the Gong Fatal 7'3" 105 litres, as small waves in Hossegor still have some punch, and the Fatal can work then. colas your boards are short ,you got me thinking of another custom . Lumpy bumpy with current. I like my 9'1 creek super stable and can still paddle through the mess. For the big clean days I have a 120l flow that seems to do the job for now. 3) I would like to add to these two -- a true touring board -- the Laird does ok, but a flatwater/tourer 12'6" ? would be nice! - 7'4" x 27 Deep Minion 104 litres. I have had this for a few years now, since they were all trendy. Still love the board and it's especially good in small fast beachies, especially with a bit of punch in them. For me, it's a keeper. 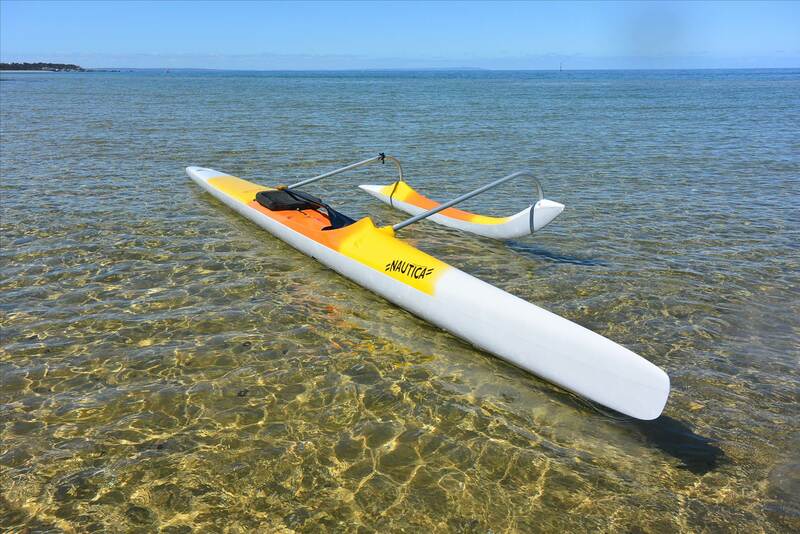 - 8'0" x 28 Starboard Pro, carbon/balsa. Great performance board in a range of wave sizes. The board is in it's cover, so can't be bothered looking at its volume, but I think it is around the 100 litre mark. - 8'7" Jimmy Lewis Stun Gun 110 litres. This board is for a few particular spots I surf that often have quite a bit water moving, so the extra stability greatly assists, but it still has a classic rounded pin shape and handles bigger waves. And, as postscript to the 3 board quiver - 9'5" Starboard Nut, carbon. Very stable board, but it works surprisingly well in waves from knee-high to well overhead, because of the tail. Even though I have often surfed it in head-high+ waves, it usually gets wet when it's small and/or gutless. Some excellent quivers being put together here, and accompanying reasons for their choices. 7'4" JP wide point or 7ft Naish Raptor or a similar wide, high volume short stubby fun board for bumpy choppy or tiny wave conditions. My other 3 boards are obviously superfluous to my needs. Boom - covers it's all for me! A very affordable, talented and hard working line up ?? 10'1 x 30", 160L JL Black and Blue - noserider/longboard, favorite board, almost always have fun on it (could go lower/thinner on volume). 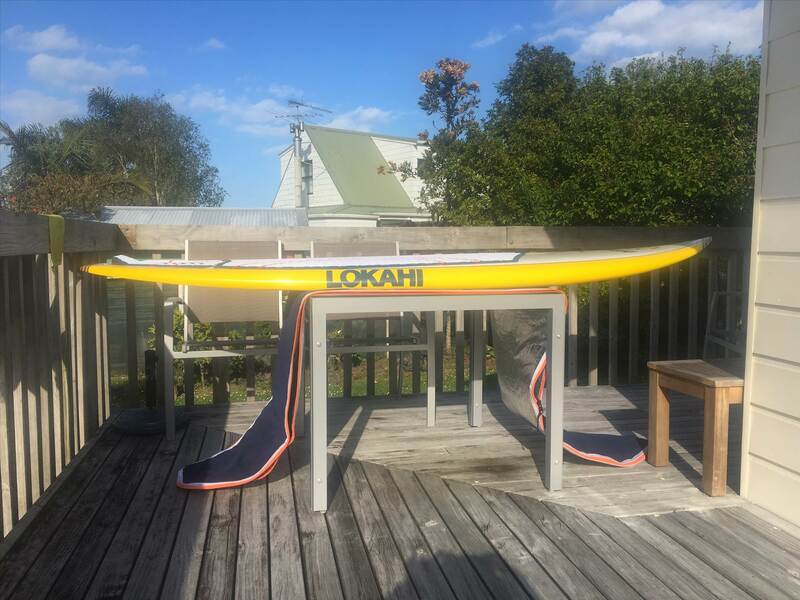 7'6"x29", 100L JL SuperFrank - Love this board, perfect for a majority of our conditions. 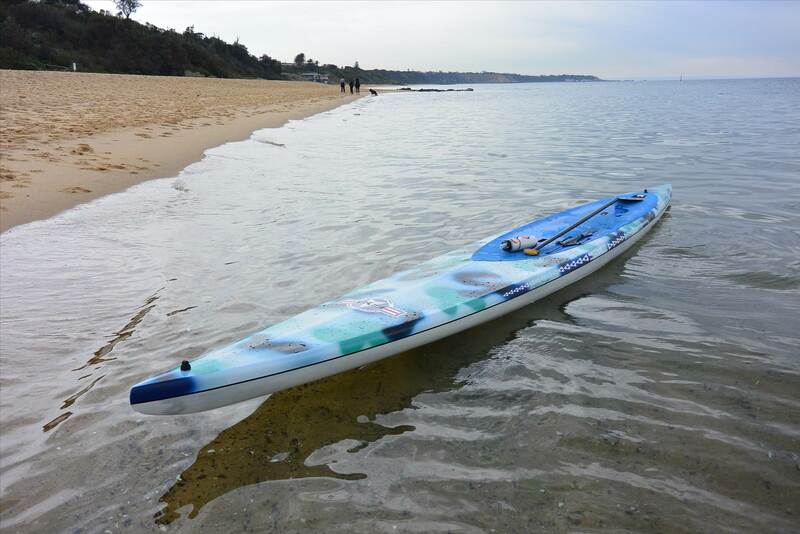 It has a nice sweet spot paddling into a wave where it really picks up speed. Progress very quickly with the smaller size. 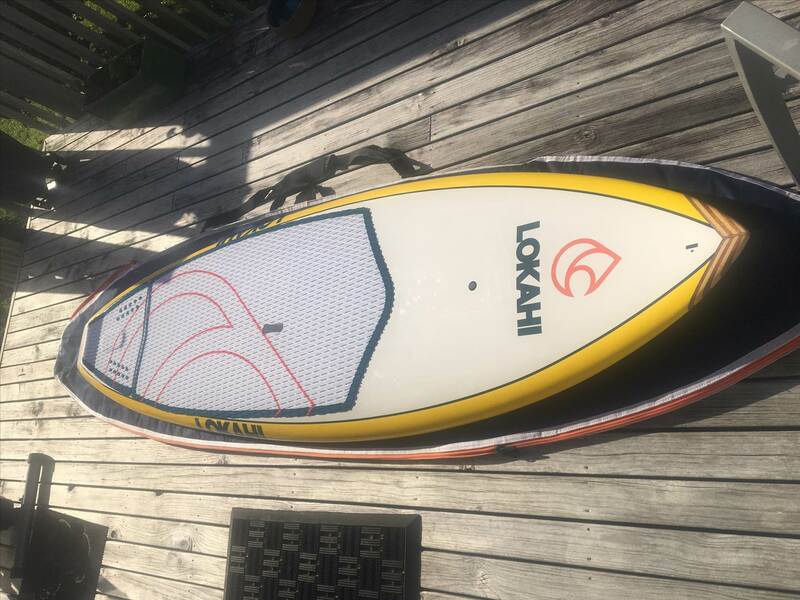 8'8" x 28.5" 110L JL SuperTech - Great board, could have went smaller/lower volume, but keeping for now as it's really stable and I like a bit of length in bigger stuff. Shroom -7'6, short stumpy sucky crumble masher and jolly good fun.. a keeper. Flow - 8'7, more open waves and yet still a slasher with more float.. a keeper. What next ? 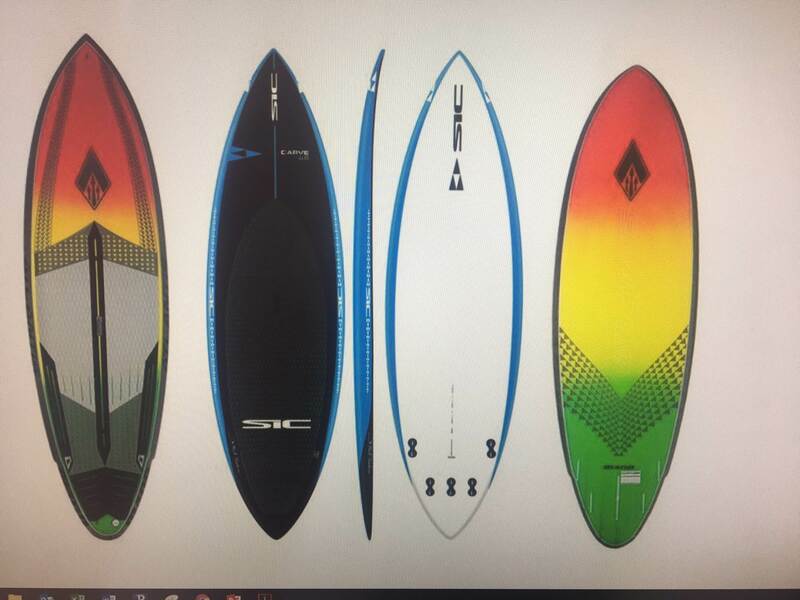 After reading Tardys thread i'm considering a custom somethingorother.. maybe a Creek or Acid.. haven't decided yet.. and in some funky colour way too..Sticking with Sunova Brand ..
starboard Allstar 14' x 28" long distance/ exploring / downwinding, no complaints with this board either. Sic Carve 8'6 x 29 x 115l. After my first test ride yesterday I am comfortable it will replace all 3 boards and cover 90% of all of their range! cover 90% of all of their range! I guess it shows that you should try to have very different boards in a quiver, so that they can play different roles. 1. 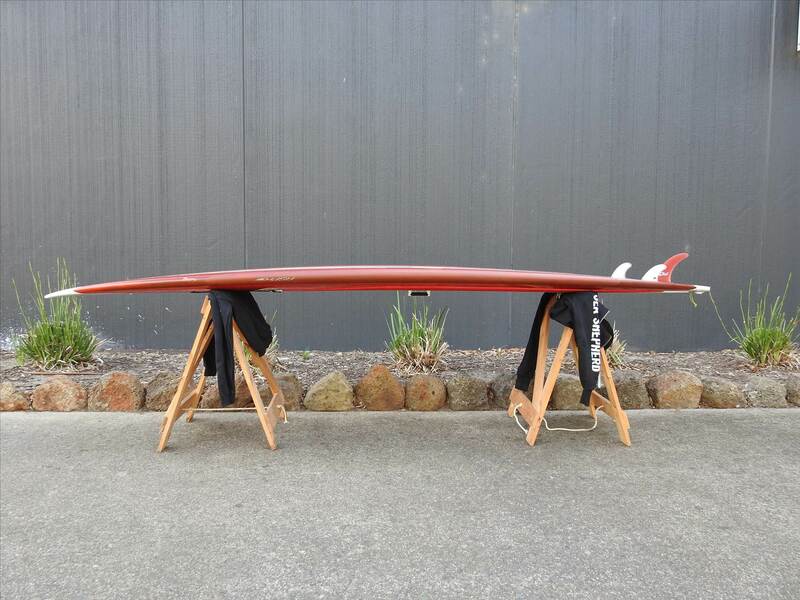 Custom 6'8" Hybrid Fish by Mick Slattery, great board for all conditions with my brick arse. 3. 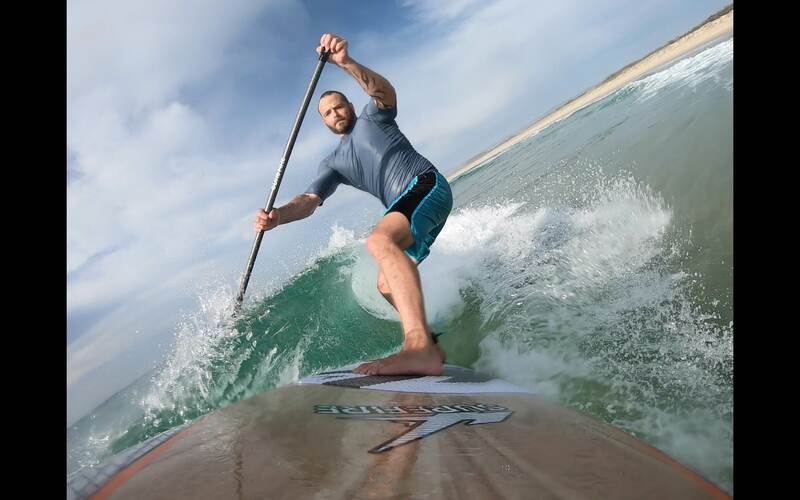 WHIPLASH SUP - 9'0" x 29.2 (123L) All rounder, great in fat slop. I'm 93 - 96KG depending on how hard I hit the Frosty Fruits. Depending on the break and conditions, SUP most of the time on most Sydney breaks, but the fish comes out for those magic moments out of town. Yes, I agree, I did the same thing myself then realised my quiver didn't vary much and had a lot of crossover. So, ended up doing exactly what you have suggested here and broadened the scope to get a wider range of experiences. Sounds like the 8.5 Speeed would have slotted in there nicely.......... and then there's the custom options?? Which one you recommend for the Med with occasional visits to your area? The Fatal or the Karmen? I currently use a custom Wasp Setup: www.waspsurf.com/portfolio-view/setup/ 7'8"x28"1/2 and 99 liters. * 9'0x29.5x113L Laird Surfer: Longboard SUP that is versatile and super stable in the chop; handles 1 foot to 1.5xOH well. * 8'10x29x118L Laird Surrator: Mini-gun with really pulled in nose and tail and ample rocker; loves waist high to DoH and critical waves. * 7'4x30x106L Starboard Hypernut: Tomo-style board with lots of drive loves 1 foot to head high mushy/slopey waves and for foiling. Really enjoy this quiver. A shame that Laird seems to have gotten out of the hard board business. That said, the construction of my Starboard is incomparable. Longboard - Infinity 9'6" New Deal. Funboard - SMIK 8'8" Short Mac Freo. Short board - King's 8'2" Accelerator. Had a big sell off recently. Scotty is working on something. Hehe! However once I take delivery of my custom Surefire 11'11" Throwdown I'm sure the lineup will adjust accordingly.